Join the Roundhouse Choir for an evening of original music written and performed by the members of one of the most exciting choirs in the country, staged in the heart of the Roundhouse. The influences of the Roundhouse Choir range from Eastern European love songs, South African spirituals, Contemporary Opera to Pop. 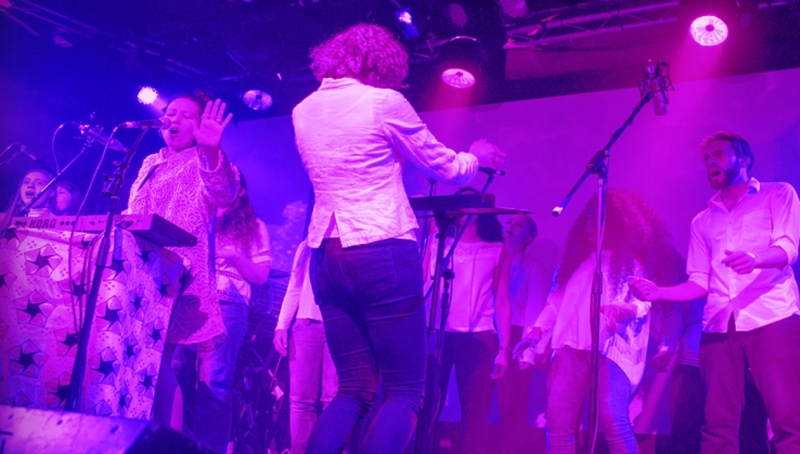 Led by Choir Directors Osnat Schmool and Rathi Kumar they’ve performed across the UK and collaborated with the likes of Sam Lee, Reeps One, Imogen Heap, Mark Ronson, The Holst Singers and Jamie Cullum. The Roundhouse Choir bring energy and joy to every performance they give.